24 Hour Comic Day is this weekend in Minneapolis! Get all the details here! Thanks to Erika Finne for organizing, and to the Minnesota Center for Book Arts for hosting! 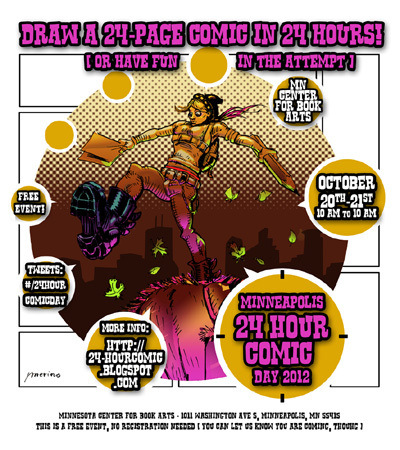 24-Hour Comic Day is this weekend in Minneapolis! Due to a lack of attendance at the last St. Paul Jam, I think we should not do August and try again in September.